Cable industry technology standards body CableLabs has published its first Point-to-Point Coherent Optics specifications which the cable outfit says will dramatically increase capacity of fibre access networks by and a factor of 10 and will support 100 gigabits of data per wavelength. 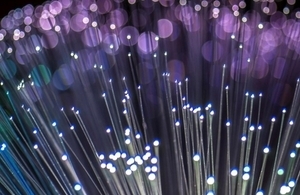 Coherent Optics technology uses amplitude, phase, and polarization to enable much higher fibre capacity, which can improve streaming, video conferencing, file uploads and downloads and future usage needs for technologies such as virtual and augmented reality, according to CableLabs. Gaining more capacity out of the existing fibres can eliminate the need to lay more fibre. The specifications allow multiple system operators to best leverage their existing fibre infrastructure to withstand the exponential growth in capacity demands and services for residential and business subscribers while enabling new services in the most cost-efficient way. This latest move follows the launch of the CableLabs’ Full Duplex DOCSIS specification last year.